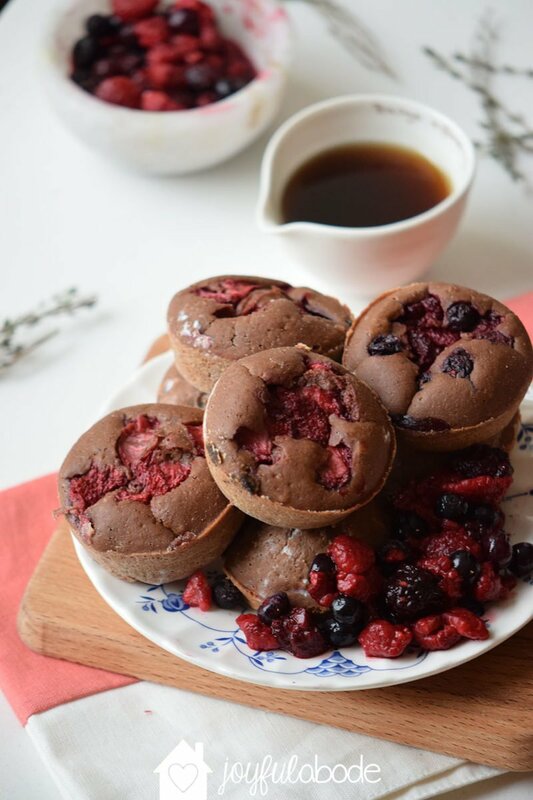 These delicious little cocoa pancake muffin bites are airy and light, little puffs. Pick them up with your fingers and eat them plain, or dunk into your favorite syrup or jam. 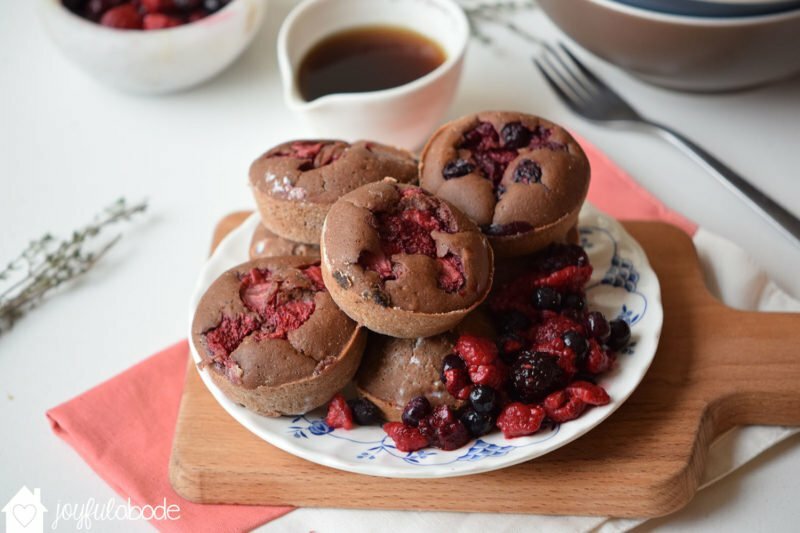 They’re gluten-free, grain-free, and dairy-free, and so easy to make! In a bowl, mix the almond flour, egg whites, almond milk, and cacao powder. Blend with a hand mixer until the batter has no lumps left. Pour the batter into a muffin pan lined with parchment liners. Top with berries and bake for 20 minutes. 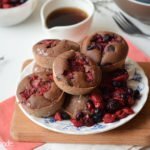 Love this paleo chocolate berry muffin bites recipe? Don’t forget to pin it! Sorry for all the comments today, but had to say these were DELICIOUS! Way better than I expected. Such a nice treat I can enjoy without any added sugar. I liked them as is, without syrup at all! Definitely a new favorite staple for our home! I just answered my own question. Doubled the batch and baked it up… It made 12 delicious muffins! Thanks for the recipe! How many does this make? 6, 12? These look delicious! I think I will freeze a bunch so we always have a treat on hand. This looks delicious. I love how simple your blog posts are. Some blogs take forever to divulge the recipe, but you dive right in, which is pure awesome! These little bites look like the perfect breakfast on the go! I love that they’re made with only a few ingredients! Yum!! This looks so delicious! !